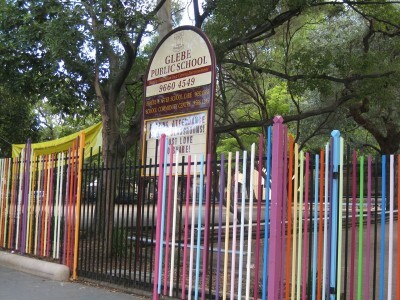 Glebe Public school opened in the building fronting Derwent School in 1862. Its first headmasters and schoolmistresses faced many difficulties, including huge enrolments. James Buckland was the first headmaster of Glebe Public School, which opened in the building fronting Derwent Street in 1862. There were five classes, supervised by Buckland and four assistants, housed in one long and two small rooms. There were 320 pupils by the time Buckland left in 1868. Charles Flashman was Glebe headmaster from 1876-84, a period when enrolments sky-rocketed. In 1877 when infants and primary pupils totalled 493 he was looking about for land and new school building. By 1880 children were being turned away because there was no room for them. Classes took place in the Weather shed, and the local Wesleyan Sunday School was rented to accommodate the girls’ department. In the last quarter of 1884 Flashman reported that enrolments had reached 2346. His staff was mostly young and untrained, and few stayed long. 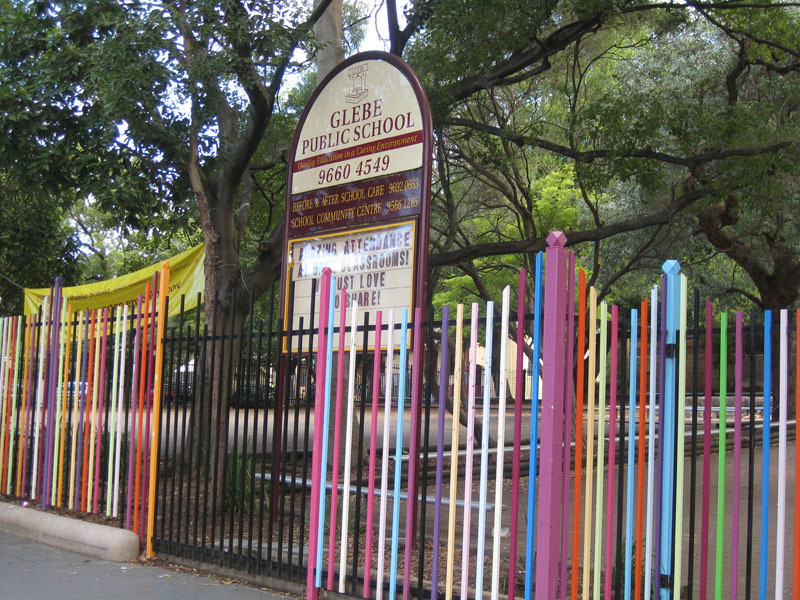 The first Glebe Infants Mistress – Ellen Flannery – was appointed in 1877 and a new girls’ school was built in 1884. Mrs Flannery was the daughter of William Elphinstone, a member of the extensive family of builders active in Glebe. She faced the same problems as headmaster Flashman: overcrowding, the rapid turnover of poorly trained staff, arrears in fees and unrealistic expectations of parents. In addition, there were periodic outbreaks of serious illnesses such as whooping cough, scarlet fever and smallpox. Mrs Flannery retired in 1892. Her barrister son George was secretary to Sir Edmund Barton when he was Prime Minister. Perhaps Glebe Primary School’s most famous (or notorious) pupil was Robin Askin – we will encounter him again when we pass his childhood home later in this walk.